In our previous blogs, we’ve been covering the benefits of stylish countertop options for your home, like quartz and marble. While both of these styles are great options for your kitchen, there is still another option to consider. Granite countertops have been a reliable option for kitchens, bathrooms, restaurants, and more since they took off in the 1980s. Today, granite is available in many different colors and patterns. And, because granite is a natural stone, no two pieces look identical, making your countertop unique. When you’re looking for new countertops that are beautiful and functional, there’s almost no better choice than granite. Let’s take a look at the some of the many benefits that come with granite counters. Granite is a naturally hard stone and is known to last many years, which makes it a great choice for areas that are used frequently, like kitchens and bathrooms. Wear and tear is no match for this solid stone, and if you have kids, a granite countertop may be the kid-friendly option you have been looking for, as it is difficult to damage. Granite is also pretty scratch resistant, as there are very few minerals that are able to scratch it. Granite used to be an expensive and exclusive option for kitchen countertops but has since become extremely affordable. In addition, since granite is durable, you won’t have to think about replacing your countertop for years! Granite has become more widely available, so the average homeowner can afford this unique look for their kitchen or bathroom. As mentioned above, no slab of granite is the same. Along with its natural uniqueness, granite can come in a variety of colors and patterns. Granite can come in shades of black, gray, white, brown, green, blue, and more. The wide range of colors makes matching your existing decor simple, including the walls, floors, and cabinets. Numerous sink style options are supported by granite countertops, making it an easy choice for kitchens and bathrooms. In addition, you can choose to have your granite countertops finished in various ways, depending on the style you are trying to match. Whether you want a polished, matte, or more natural finish, you cannot go wrong with either choice! Granite counters can handle a lot of heat. In fact, the countertops will not melt or damage when exposed to heat. Granite countertops are one of the most heat-resistant options you can find on the market. You can briefly place hot pans, trays, and other hot items directly on top of the countertop without having to worry about causing any damage. Since the surface of granite countertops cannot absorb stains, they are incredibly easy to clean with a wet rag or paper towels. Having these countertops in your home makes cleaning your bathroom and kitchen much easier! Sealers are also available for granite countertops and are simple to apply. Sealers protect the countertop against spills, chips, and other damages. Even though granite is durable and hard, there are still chances of it cracking or chipping in its lifetime. But fear not! Granite countertops are very easy to repair compared to other styles of countertops. With the help of a professional contractor, damages can be repaired as if nothing ever happened! Granite is incredibly sanitary, as it does not experience bacterial contamination. Since it is a non-porous surface, nothing can soak into it. With granite countertops, you can have peace of mind knowing that your countertop surface is free of dirt, bacteria, and grime that is commonly found in kitchens. Whether you’re planning to sell your house soon or in the future, adding granite countertops in your home can increase its value. Granite adds an exclusive and luxurious look to the kitchen, one of the most important rooms that influence a buyer’s decision. Granite is a type of stone that will be appreciated for years to come which makes it a great home investment. Bring granite countertops into your home! 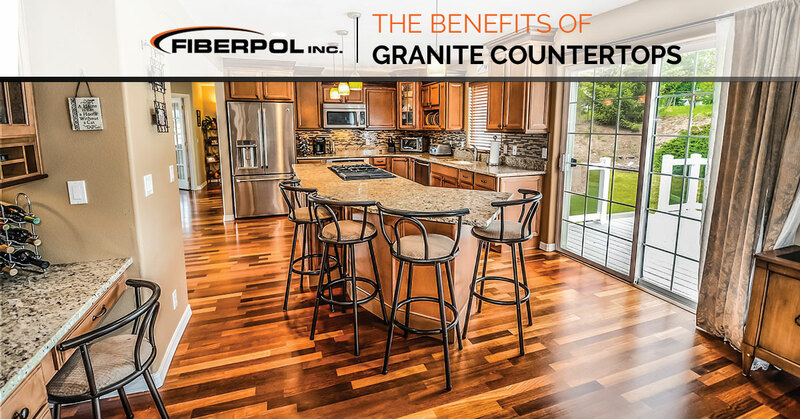 If you are thinking about adding granite countertops in your Barbados home, contact Fiberpol! With over 25 different color options available, you should have no problem matching your existing decor with new bathroom or kitchen countertops! 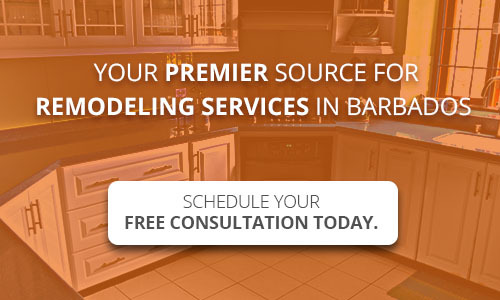 Whether you choose granite or another style, our team of professionals can install any of our high-quality countertops at an affordable and competitive price. To get started, contact Fiberpol for a free consultation!